Blueberry pancakes at The Blue Plate. Wine Over Water is a fundraiser for Cornerstones Inc.
McCallie School students hang out at DeLong Reservation on Missionary Ridge, where Civil War cannons still sit in yards. 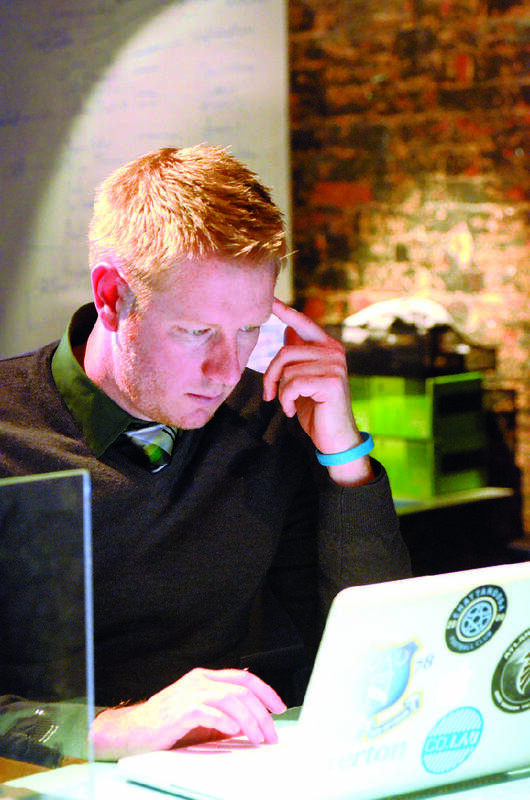 Ernie Dempsey, with Job Ninja, works in the CreateHere building on Main Street. The story of Chattanooga would fill volumes. We'll leave it to the historians to do the heavy lifting. Here, instead, we'll offer 26 adjectives that offer a snapshot of the city from A to Z.
Artsy: The city's arts scene is a powerful force of people, places and happenings. 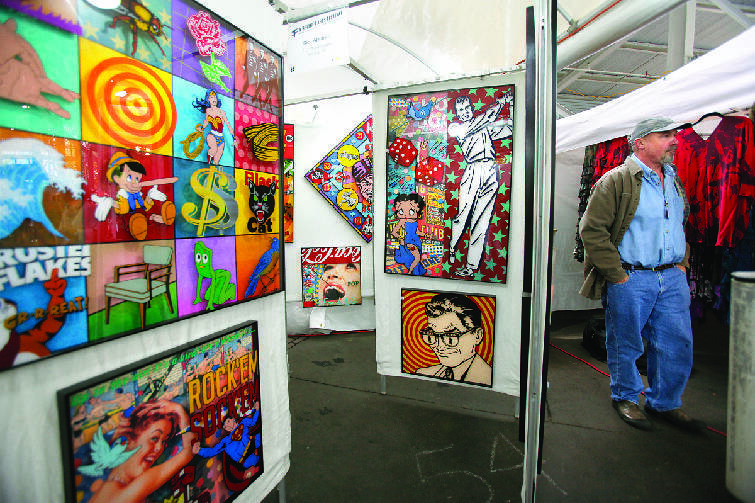 The works of visual artists populate an array of galleries and studios, as well as outdoor showcases such as the Bluff View Art District overlooking the river and the Art on Main project on the Southside. Festivals devoted to the arts include the nationally renowned 4 Bridges Arts Festival and HATCH, a 10-day celebration that debuts in April. For real immersion, a visit to the dazzling collection housed inside the Hunter Museum of American Art is in order. But look closely while you're downtown, and you'll see you're surrounded by art -- from sculptures integrated into the landscape to shall-we-dance steps embedded in the sidewalks to murals encasing CARTA buses. Beautiful: There's a reason it's called the Scenic City. Mountain ridges, rolling hills and a winding ribbon of river contribute to the stunning views. Creative: In a first for any city, Chattanooga is on the verge of having its own font. Developed by a group of designers, "Chatype" is a typeface of characters especially created to fit the city's character. Its skeletal shapes are patterned after the iconic architecture of the Walnut Street Bridge. Delicious: The taste of Chattanooga draws heavily from Southern traditions. Among those paying homage to home cooking are Bea's on Dodds Avenue, Nikki's Drive Inn on Cherokee Boulevard and Zarzour's on Rossville Avenue. Some of downtown's fine-dining establishments take a more contemporary view, such as The Blue Plate on Chestnut Street and Big River Grille & Brewing Works on Broad Street, updating traditional favorites to modern sensibilities. The continued influx of a more diverse population also widens the offerings, with Mexican, Italian, Greek, Chinese, Japanese, Thai and Vietnamese restaurants also represented. And Volkswagen's arrival helped put out the "willkommen" mat for a German-flavored BrewHaus on Frazier Avenue. Eerie: Like ghost hunting? Chattanooga has a rich history of haunts, from Green Eyes at the Chickamauga Battlefield to a spirit-filled room at the Sheraton Read House. Guides with Chattanooga Ghost Tours can fill you in on the otherworldly visitors said to haunt downtown. Ghost Hunters of Southern Tennessee investigates paranormal happenings around the region. Fun: Whether it's a scream-inducing drop from the Cannon Ball roller coaster's highest arc at Lake Winnepesaukah, a nose-to-nose encounter at the catfish tank inside the Tennessee Aquarium or the "See Seven States" vistas from Rock City, Chattanooga's tourist attractions offer signature experiences. 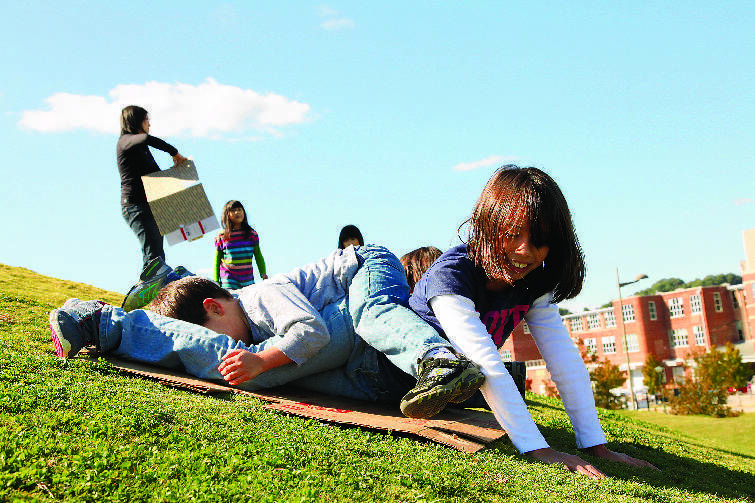 There are simpler pleasures as well, from rides on the Coolidge Park carousel to cardboard sledding down the grassy slopes of Renaissance Park. Generous: Chattanooga's giving spirit manifests in multiple ways. Foundations and private citizens fuel the deep-pocket philanthropy that has, at times, set the city's course. Weekends are filled with events ranging from walkathons to formal galas that raise funds for various causes. And when disaster strikes, area residents roll up their sleeves and go to work to help their neighbors, whether it's clearing debris from a tornado-ravaged home or loading a tractor-trailer with water, diapers and groceries. 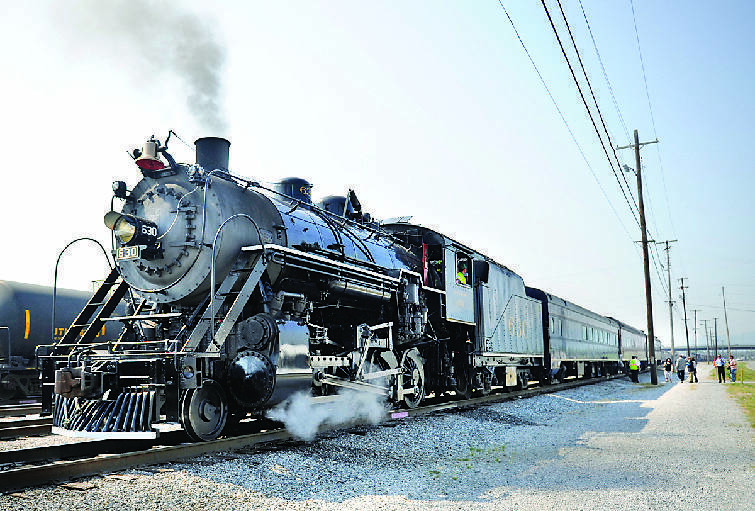 Historic: Chattanooga's history unspools in myriad directions, but three of its cultural touchstones are widely known: the Trail of Tears, the Civil War and trains. The Trail of Tears National Historic Trail features several stops around the region, including Audubon Acres and the Brainerd Mission Cemetery, and the recently designated Moccasin Bend Archaeological District will preserve 775 acres of land that holds the prehistory of the area's first settlements. The Chickamauga and Chattanooga National Military Park details the area's involvement in the Civil War in sites around the city. And the Tennessee Valley Railroad Museum is designed as a rolling time machine to depict when railroad travel was a way of life. The newly redesigned Chattanooga History Center will tell these stories and more when it reopens this fall. Iconic: The Glenn Miller Orchestra's 1941 big-band hit put not just a train station but a city on the map. 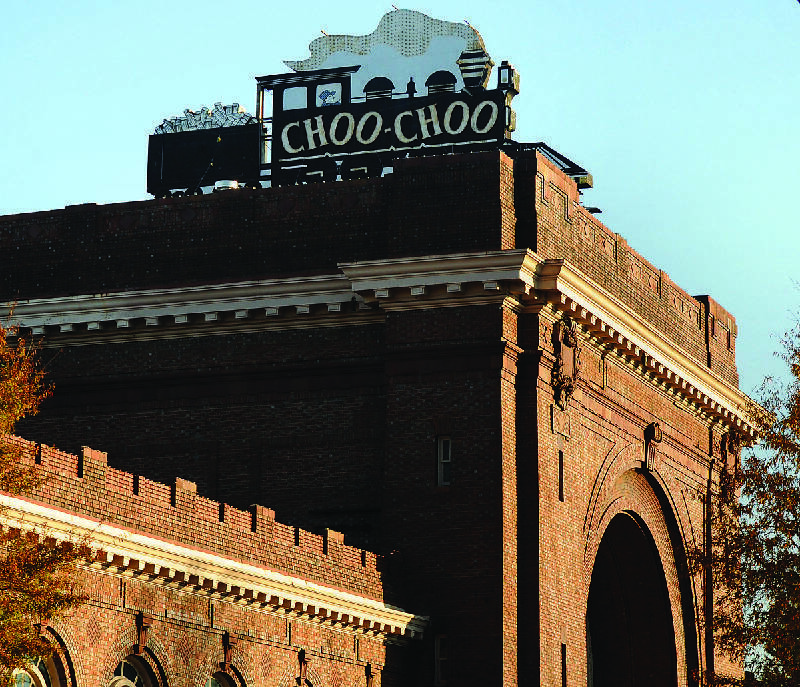 Today "Chattanooga Choo Choo" is an internationally known namesake. Jigsawed: Chattanooga's distinctive communities come together like puzzle pieces to form the cohesive whole. The North Shore and the Southside get their vibes from a hip mix of independently owned boutiques and eateries. East Brainerd and Hixson are hubs for commercial development and shopping. Historic districts such as Fort Wood, Ferger Place and St. Elmo add interest with charming historic homes. The past is also relevant on Missionary Ridge, where cannons offering reminders of Civil War battles still sit in yards. Within Hamilton County, 10 municipalities carve up pieces of the 576-square-mile county, including two cities (Red Bank and Ridgeside) that are entirely surrounded by the city of Chattanooga. Kinetic: Chattanooga was once known as the "Dynamo of Dixie" for the round-the-clock hum of its factories and foundries. These days, that energy is more likely the intellectual kind. The launch of Chattanooga Venture in 1983 and the resulting Vision 2000 projects set fundamental changes in motion for the city's future and offered a blueprint for how creative ideas and community input could effect change. These days, that innovation continues with organizations such as CreateHere, which fosters self-starting arts, economic and cultural development projects. Luminous: Viewed from the highest surroundings at night, the lights of the city spread out like a blanket of jewels. The wattage increases in winter, when holiday lights adorn downtown. 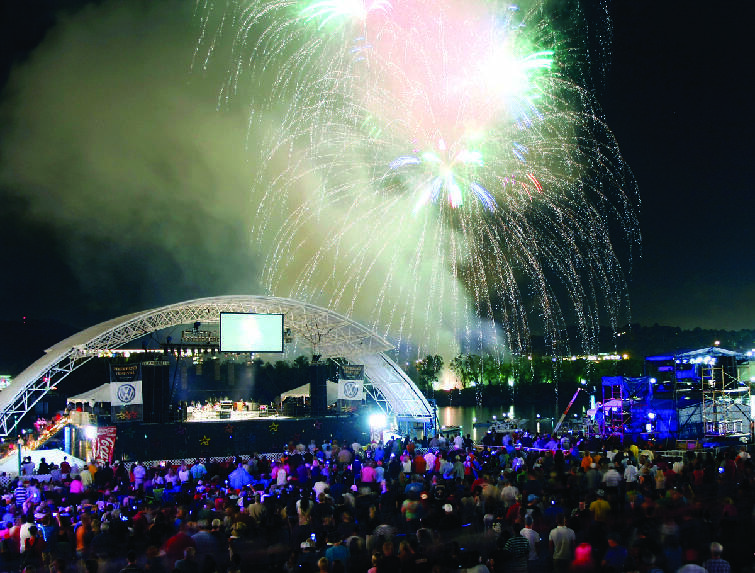 In the summer, the extra illumination comes from Riverbend's crowd-pleasing fireworks finale. Musical: Chattanooga's soundtrack borrows influences from across the state -- a little Memphis blues, a little Nashville country. 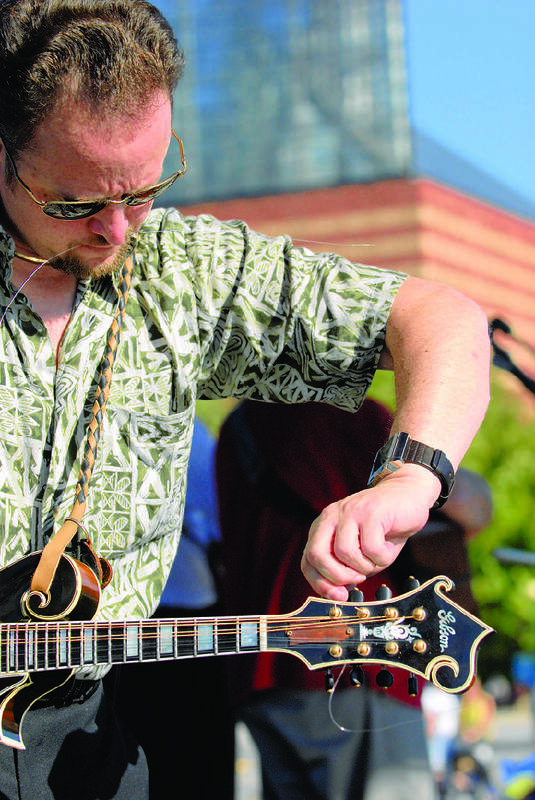 Nightclubs pulse with the sounds of local and touring acts, and outdoor festivals such as Riverbend and Nightfall draw crowds to Ross's Landing and Miller Plaza. Gospel gatherings occur almost every night of the week at fast-food restaurants, while traditional sounds ring out every Friday from the Mountain Opry on Signal Mountain. Neighborly: The Tennessee, Georgia and Alabama state lines intersect near Chattanooga, giving tri-state residents a no-boundaries perception of places to live, work and play. The Census Bureau defines the metropolitan area as three counties in Tennessee (Hamilton, Marion and Sequatchie) and three in Georgia (Catoosa, Dade and Walker), but whether through daily commutes or weekend day trips, the swath that feels like home is not nearly so confining. Organic: A movement toward locally grown foods has taken root in local restaurants, especially the finer establishments downtown, such as 212 Market and St. John's. For home cooks, Chattanooga Market, a Sunday ritual for thousands, highlights the seasonal availability of produce from area farms from April through December. For those who have the desire but not the room to grow their own crops, Crabtree Farms (among others) offers rental plots for community gardening. Patriotic: The Chattanooga area has a longtime commitment to military service, as well as to showing gratitude to those who serve. Among those gestures: Soldiers and Sailors Memorial Auditorium, which opened in 1924, was created as a living memorial to Hamilton County war veterans. The local Armed Forces Day parade has continued without interruption since President Harry Truman set the day aside in 1949. 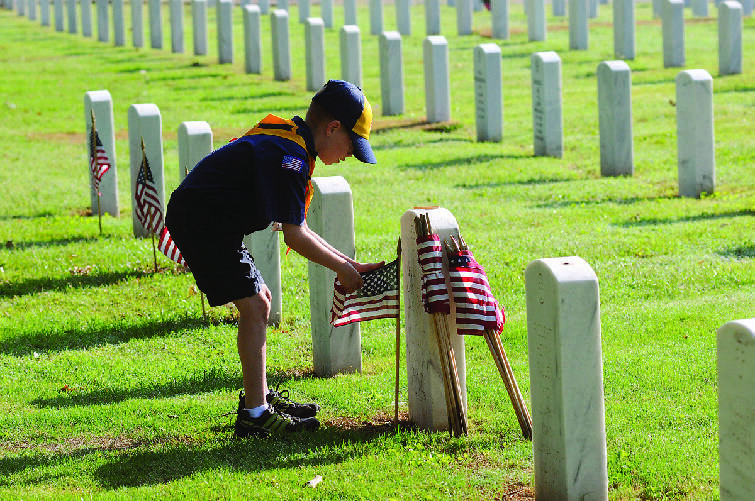 And every Memorial Day, National Cemetery becomes a sea of red, white and blue as Boy Scouts place small American flags at individual gravesites. Quirky: Did you know the first wrecker was built in Chattanooga? Would you believe there's a museum dedicated to it? The International Towing & Recovery Hall of Fame & Museum on Broad Street traces the history of the industry back to its local origins. Other one-of-a-kind tourist draws include the Siskin Museum of Religious Antiquities on Carter Street, the Medal of Honor Museum inside Northgate Mall and the Houston Museum of Decorative Arts, whose eccentric benefactor, Anna Safley Houston, put together what is considered one of the world's finest collections of antique glass, often living in virtual poverty but refusing to sell her treasures to buy food, medicine or other essentials. Romantic: Some of the area's best date nights take place at the river's edge. Among them: Bart's Lakeshore on Lake Resort Terrace, Tony's Pasta Shop in the Bluff View Art District and Riverside Catfish House on Highway 41. 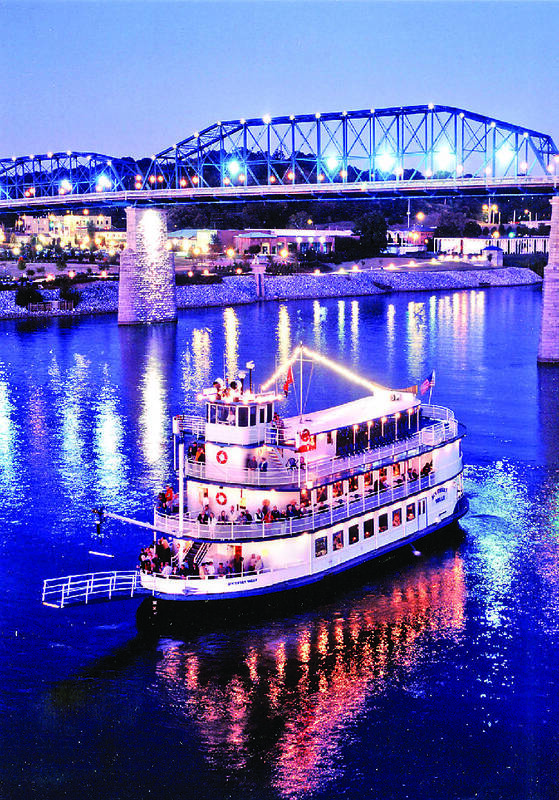 Couples can be further lulled by the waters with dinner aboard the Delta Queen, permanently docked at Coolidge Park, or on a trip through the Tennessee River Gorge aboard the Southern Belle. Star-powered: Celebrities with ties to Chattanooga include the highest-grossing actor of all time, Samuel L. Jackson, and one of the best-selling artists in music, R&B singer Usher. Other names you may recognize are Emmy winner Leslie Jordan ("Will & Grace"), actor Dennis Haskins ("Saved by the Bell"), comedian Ralphie May, composer George S. Clinton, late professional football player Reggie White, late blues legend Bessie Smith and last year's "American Idol" runner-up Lauren Alaina. Tech-savvy: Chattanooga lays claim to the world's fastest Internet speeds (along with Hong Kong), and now city officials have launched a nationwide push to rebrand Chattanooga as "Gig City." Up to 25 techies will compete for as much as $300,000 in cash and seed capital by building the best application for the mind-boggling gigabit network. Unflappable: When the city was named one of America's dirtiest cities in the 1960s, leaders dug in and began a transformation to become one of the cleanest and most livable communities. That indefatigable spirit was on display again when the old Volunteer Army Ammunition Plant sat unused because of soil and groundwater contamination. The reinvention of that 6,700-acre site to a "green" industrial park was the catalyst that brought in the $1 billion Volkswagen manufacturing plant. Vibrant: Think there's nothing to do around town? Maybe you're not paying attention. Chattanooga boasts an energetic mix of nightclubs, music venues, dance halls and theaters that are busy every night of the week. 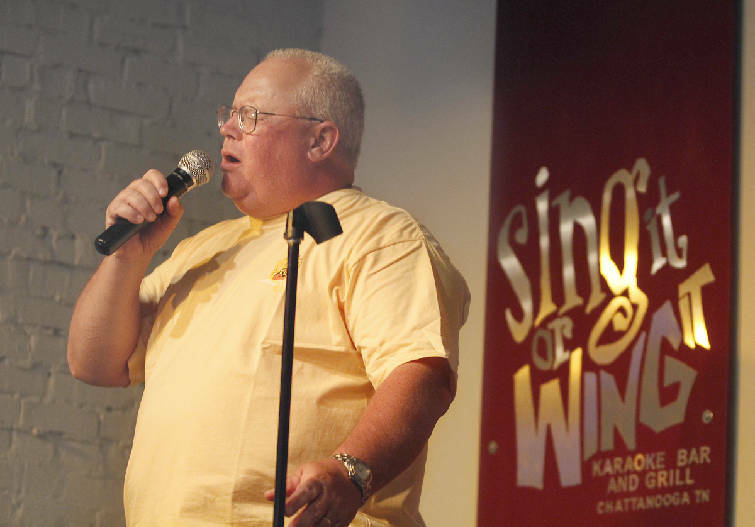 Try a karaoke serenade at Sing It or Wing It; cue up a game of pool at Chattanooga Billiard Club; learn to square dance at Allemande Hall; or catch the latest stage production at Chattanooga Theatre Centre. 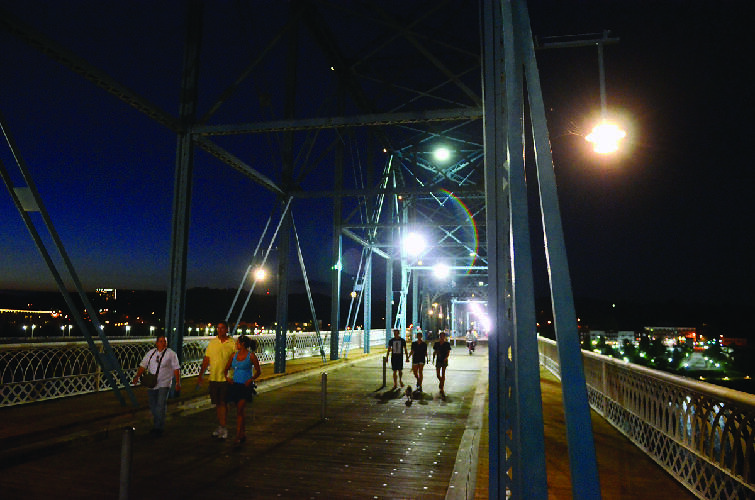 Walkable: Chattanooga invites exploration with a pedestrian-friendly downtown, complete with the hugely popular Walnut Street Bridge. The Tennessee Riverwalk adds 20-plus miles of riverfront views from Chickamauga Dam to Moccasin Bend, and a network of greenway trails crisscrosses the city from Hixson to Lookout Mountain. 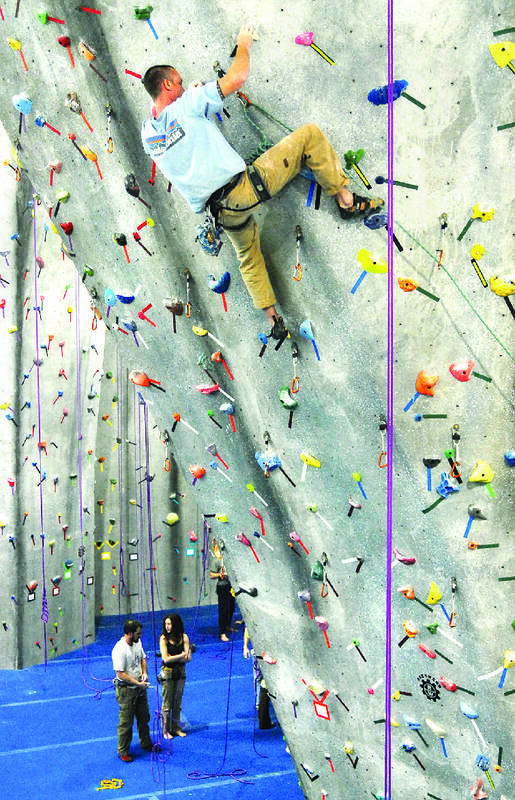 Xtreme: From rock climbing to hang gliding to whitewater rafting, area residents can choose from an abundance of high-adventure recreation. Along with the organizations associated with each special-interest sport, Outdoor Chattanooga is a central hub for information and the 10-day RiverRocks festival spotlights the range of outdoor activities and amenities. Y'all-inclusive: Southern hospitality is a way of life here, and we're generally welcoming of visitors. Don't be surprised when your waitress calls you darlin', your new neighbor invites you to church and a four-way stop comes to a polite standstill when all of the drivers try to wave each other through the intersection first. A word of advice for Yankee transplants: If you weren't lucky enough to be born in the South, brag that you got here as fast as you could. Zany: Since the summer of 1985, The Comedy Catch on Brainerd Road has been a source of delight at the end of the tunnel. The club has hosted some of the biggest names in comedy, from Jerry Seinfeld to Carrot Top. More recently, the Market Street venue Vaudeville Cafe has offered a mix of audience-interactive merriment with a slate of murder-mystery dinner shows and a rotating lineup of established and up-and-coming comedians.